Nature series focusing on the wildlife struggling to survive on the Hebrides. Cameras track wildlife as they face the biggest storm in living memory, before basking sharks arrive. In most years winter is the hardest time in the Hebrides but once in a generation the spring turns out to be harder still. 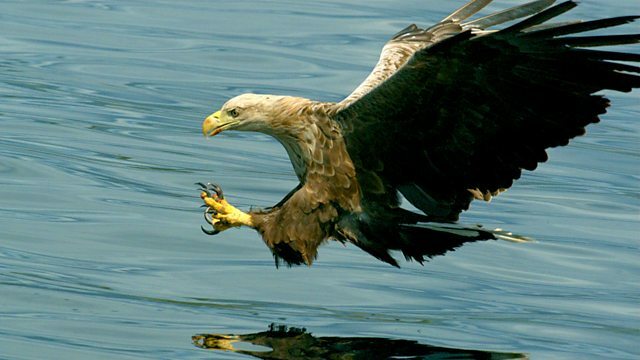 White-tailed eagles, harbour seals, hares, pine martens and short-eared owls all struggle to raise their families as the islands are hit by the biggest storm in living memory. As the wild weather finally passes and the seas warm, the story moves beneath the waves to reveal the arrival of Scotland's ocean juggernauts - basking sharks. The amazing careers of five of the world's best nature cameramen.